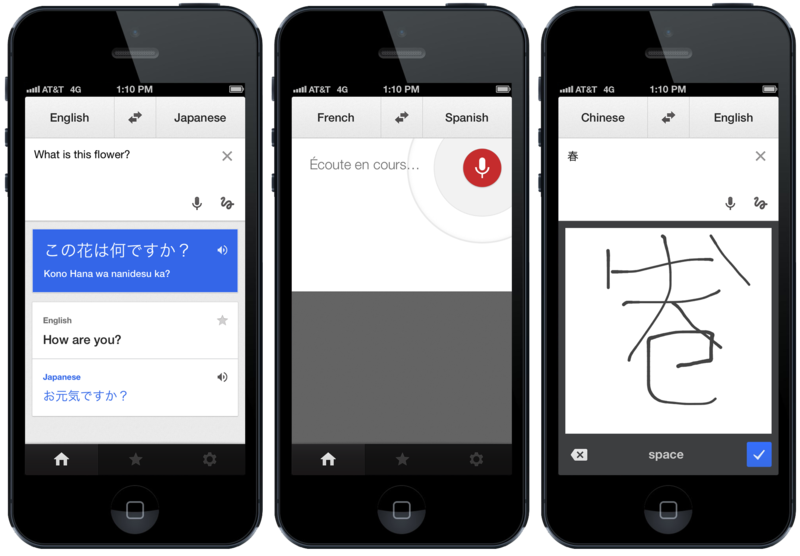 Google today released version 2.0 of its Google Translate app for iOS, revamping it for iOS 7 and adding handwriting support. You can download the new version now directly from Apple’s App Store. 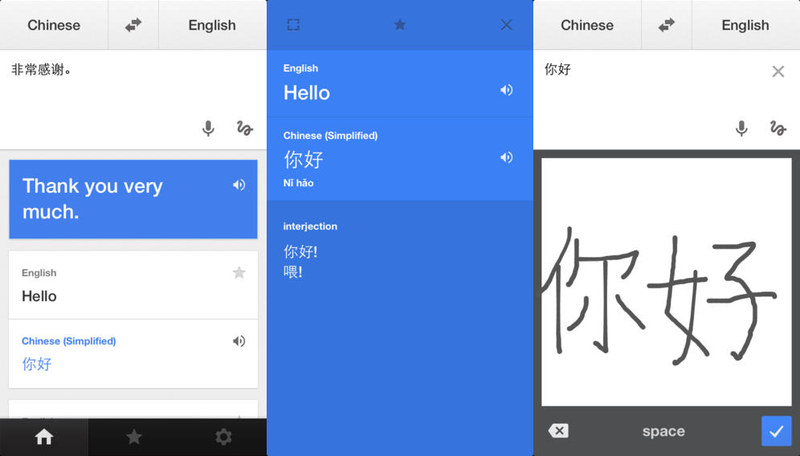 To showcase what’s new, Google has offered cases to explain how you can use the new Google Translate for iOS. Each of the three screenshots below are part of a scenario that the company hopes will best explain how the app can be more useful. The left screenshot shows Google Translate when you’re in Kyoto and want to learn more about an exotic flower arrangement, so you use text-input to type in your question and translate from English to Japanese (and even hear it spoken back to you). The middle screenshot is for when two individuals want to take turns tapping the microphone to translate between French and Spanish. 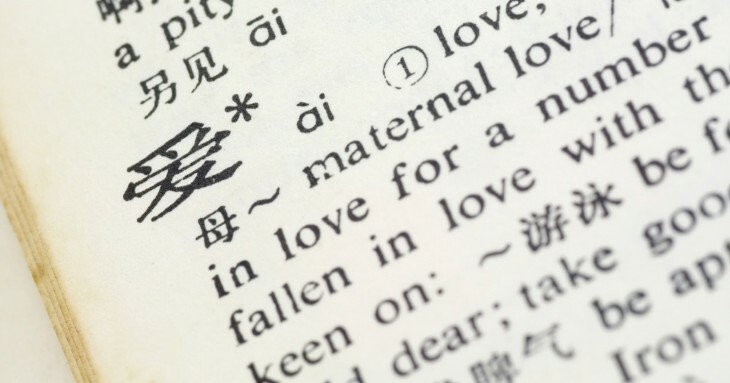 The right screenshot is for when an expat living in China wants to know what’s on the menu and uses the Handwrite feature to figure it out. Read next: What's inside the iPhone 5s? iFixit's latest teardown reveals all.